Off beat travel during non peak season – here we come! Sitting by my desk and working as I lament the passing of Summer has put me in wishful thinking mode! This time, last year, during Independence Day, I was busy trudging along the grand peaks and falls of Ladakh, before my journey finished on the serene Dal Lake in Kashmir. August and September may not seem like the ideal time to take a vacation to many – but it actually is! Not only do you get to avoid the Summer rush everywhere you go, but this non peak season turns virtually every destination into a playground laid out before you to explore without standing in queue for every activity or attraction. Plan a Staycation in Kerala: Try an off beat travel destination like Kerala during the months of August and September. Give the winter holidaying crowd a miss, and settle into a water front property for a staycation of sorts. Try a colonial property turned luxury villa in Alleppey where the jungle, the backwaters and plenty of adventure will all be at an accessible distance even as you luxuriate in the old British splendour of such a property. Costa Rica: The heavy rains may prevent most people from heading to this coastal Central American location with its rainforests – but you do not have to join that crowd. For a true feel of nature and its forces, you can visit Costa Rica during these months to enjoy afternoon showers and pleasant weather for the rest of the day. 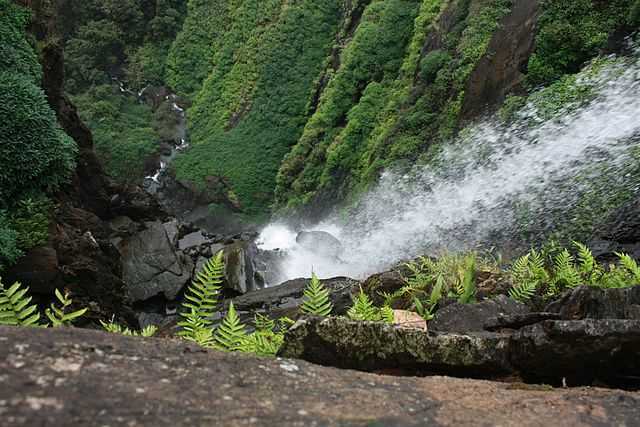 Bathe under a waterfall and explore the local markets and attractions in the breezy evening. The Arctic: Summer brings perpetual sunshine to the Arctic quarters. And this bounty of sunshine continues right into the fall where one can easily explore the snow laden terrain with a sun that never goes down. Beluga whale sightings and plenty of adventure sports ought to propel you into action so that you book yourself that cool vacation right away! Austria: Europe in the Summer is usually teeming with people from across the globe. It would be difficult to imagine getting anywhere without standing in a queue for long hours. But Europe right after Summer is quite a treat indeed! Head to Austria and make a beeline for the wonderful historic quarters if you want to treat yourself to a leisurely vacation that literally takes you back in time. Walk along the cobblestone paths and sit by the grand fountains in its squares. Summer palaces and pretty marketplaces will also beckon. Austria is for the traveller who wants to simply be! New Zealand: Now this may come as a surprise for many, but New Zealand and Summer Skiing are actually a thing! Explore the slowly melting snow as August and September make way for the impending summer in this part of the world. Take a trip to one of the wonderful islands like Waiheke Island or Stewart Island to see the tropical side blooming slowly after the winter. So are you ready for your off beat travel itinerary this fall? I am already packing!